Cocoa butter is the fat of the cocoa bean, extracted by hydraulic pressure from the cocoa mass. It is a Pure Prime Pressure (PPP) butter, thus maintaining all its extraordinary crystallization properties and the natural low fatty acid content of selected cocoa beans. Natra offers different degrees of deodorization in its cocoa butter. Natra manufactures conventional, organic (NOP) and fair trade (FLO) or UTZ certificated butter, on demand. Product presentations include solid in 25 kg boxes or liquid in bulk in tanks up to 25,000 kg. PPP natural A cocoa butter with the full flavor of the best natural cocoa, ideal to provide a higher flavor profile to your chocolates and coatings. Also for the extraction of cocoa natural aroma for the flavor industry and to provide a better mouthfeel to pastry and ice cream products. Widely used as well in the pharmaceutical and personal care industries. PPP semideodorized A cocoa butter providing a well balanced and standardized cocoa flavor intensity. Used in chocolates, pastry and ice cream applications. PPP deodorized A cocoa butter fully deodorized using a physical process that will not modify its high physicochemical quality. 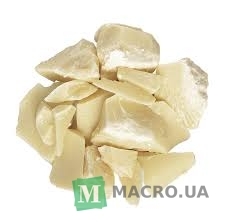 It is the most used cocoa butter for chocolate production as it guarantees a good mouthfeel and crystallization without changing the aromatic profile of the cocoa bean blend, used in each chocolate variety. Widely used as well in the pharmaceutical and personal care industries. The optimal health comes from a balanced diet and a lifestyle committed to the preservation of our environment. Different origins of organic grains provides in its resulting cocoa mass selected profile in aroma and flavour. Organic PPP deodorized Fully deodorized cocoa butter using a physical process that will not modify its high physicochemical quality. It is the most used cocoa butter for organic chocolate production as it guarantees a good mouthfeel and crystallization without changing the aromatic profile of the organic cocoa bean blend used for each chocolate variety. Widely used as well in organic personal care products. A fair trade (FLO) relationship between producers and consumers. The same high quality cocoa butter from Natra with the added value of a guaranteed fair price and income for the farmer. Fair trade (FLO) PPP deodorized Fully deodorized cocoa butter using a physical process that will not modify its high physicochemical quality. 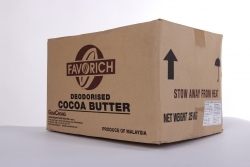 It is the most used cocoa butter for fair trade (FLO) chocolate production as it guarantees a good mouthfeel and crystallization without changing the aromatic profile of the fair trade (FLO) cocoa bean blend used for each chocolate variety. Widely used as well in the Fair trade (FLO) personal care products. Добавить отзыв Отзывы о товаре "Cocoa butter"